Missing teeth can be a daily embarrassment, especially when you find yourself faced with an overwhelming number of gaps. You want to smile and laugh with the people around you, but you can’t help but worry about what they’ll think when you open your mouth. Don’t worry – Dr. Cofer and his team at Premier Family Dental are here to help with full dentures, a comfortable and affordable solution to a mouth of missing teeth. At our Waco, Texas office, we can create long-lasting dentures from biocompatible materials for a natural, beautiful look you’ll be thrilled to share with the world. Basic actions like eating or speaking don’t seem too hard – but once you find yourself without teeth, they can be a constant challenge. What’s worse is that facial muscles can begin to sag, making you look older. Full dentures can eliminate all of these problems for you, allowing you to partake in activities and outings that may have once seemed too challenging. Dr. Cofer will be happy to create a set of full dentures that both fit comfortably in your mouth and closely resemble your natural teeth. 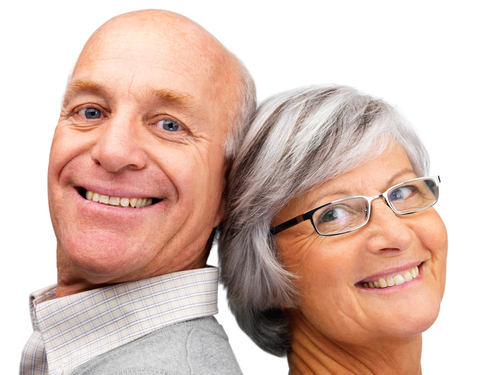 Full dentures may even improve the look of your smile! In addition, full dentures are removable, unlike dental implants. They include a layer of soft tissue designed to look like gums, as well as the replacement teeth. They stay in place with the help of natural suction, and can be easily rinsed and cleaned once taken out of the mouth. Are you ready for an affordable and comfortable option that will hide cover up those missing teeth with a brand-new, beautiful look? The team at Premier Family Dental wants to give you something to smile about. You can learn more about dentures and some of the other restorative treatments we offer, such as dental implants, here at our website, or you can feel free to go ahead and give us a call today to schedule an appointment. Premier Family Dental proudly serves not only the Waco area, but also Lorena, Robinson, Hewett, and surrounding towns. by: Dr. Rick Cofer at December 31, 2012 .